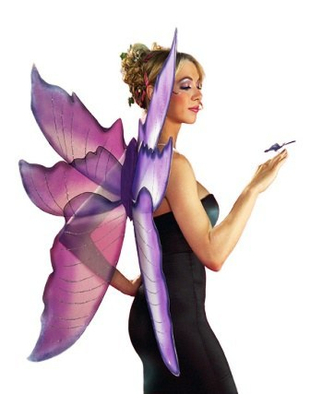 Finish off your fairy or butterfly costume with these Deluxe Purple Wings. These oversized wings are wire framed with mesh inserts. These are purple with silver glitter stripes. Elastic arm straps to hold comfortably in place.